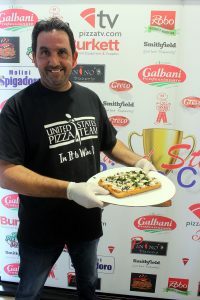 Unprecedented Ties in the Midwest U.S. Pizza Cup sends 3 Pizzaioli to Italy! 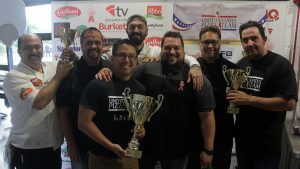 Lisle Ill., June 21st, 2018 — Twenty-three pizzaioli from across the United States flocked to the U.S. Pizza Cup at the North American Pizza & Culinary Academy. 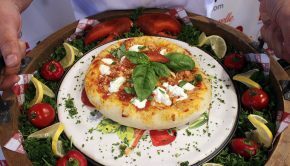 The U.S. Pizza Cup, consisting of a two day competition with both Classico and Gluten-Free categories, drew veteran members and first time competitors alike. 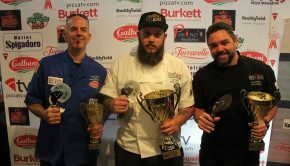 All were competing for the top prize in both categories of a Premiere membership to the U.S. Pizza Team for one year and a trip to compete in the World Pizza Championships in Parma, Italy in 2019. 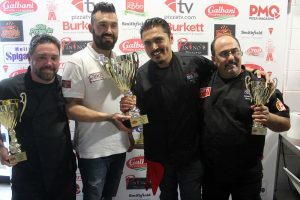 The Classico division saw an unprecedented tie for first place, resulting in both winners going to Italy in 2019. 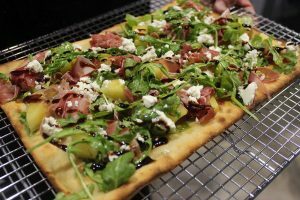 Veteran Ali Haider of 786° in Sun Valley, Calif. was awarded first place for his “Bulgogi Gangnam Style” pizza topped with SuKorean, pear-marinated BBQ beef, mushrooms, spinach, Rakkyo onion, roasted sesame seeds and fresh Galbani cheese. 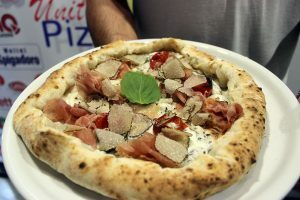 Gianni Gallucci of Forno Rosso and Zero Ottantuno in Chicago, Ill. seized a trip as well with his traditional Pizza Napoletana STG in the wood-fired oven featuring buffalo ricotta with black truffles, prosciutto di Parma, red piennolo del Vesuvio, and summer black truffle from Umbria. 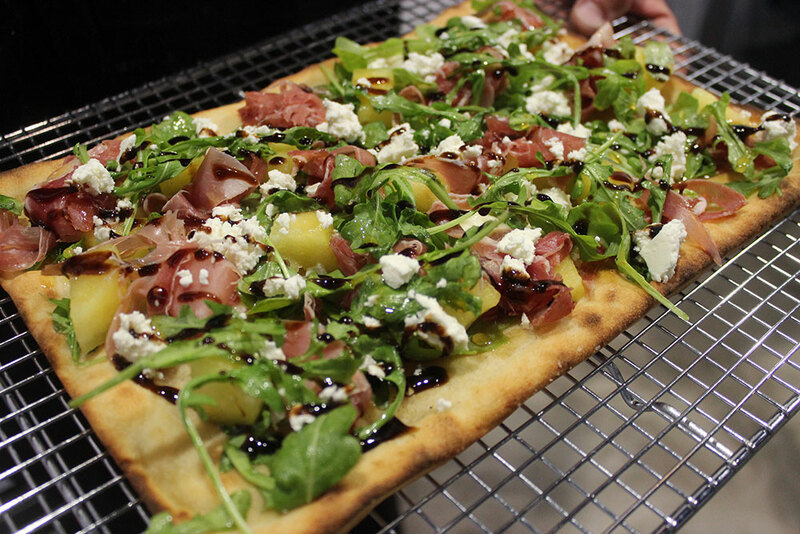 Dave Sommers of Mad Mushroom in West Lafayette, Ind. 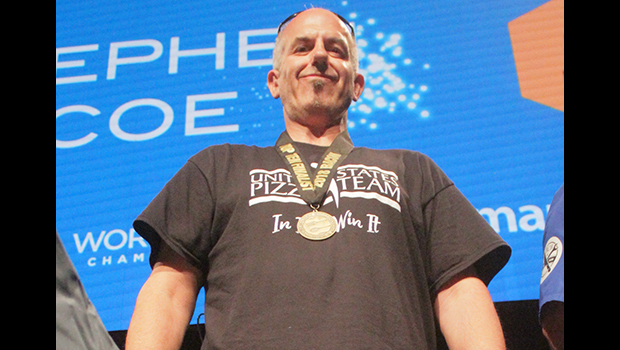 took a hard earned 2nd place. Third place, by mere points, was Leonardo Giordano of Mona Lisa Pizza in Staten Island, N.Y. The Gluten-Free division saw a two time competitor Derrick Tung of Paulie Gee’s on Logan Square in Chicago, Ill. win the trip to the World Pizza Championships with his Detroit-style inspired gluten-free pan pizza. 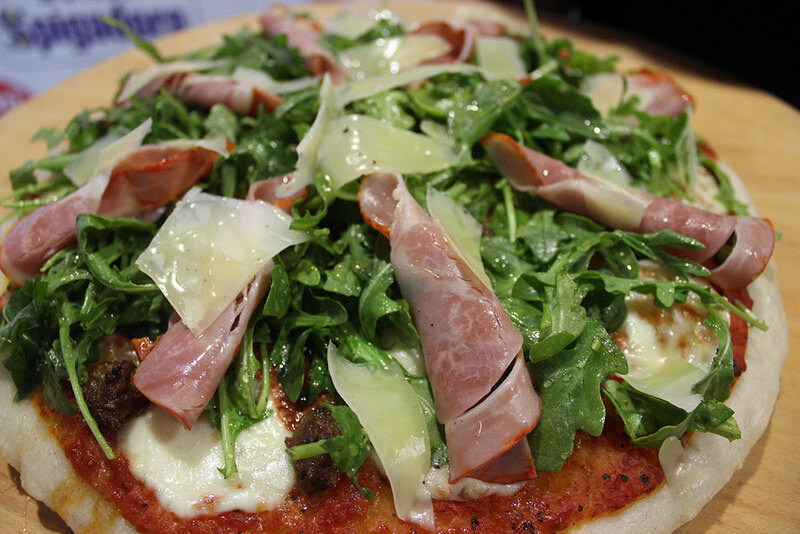 A 100% starter made from Caputo gluten free flour. 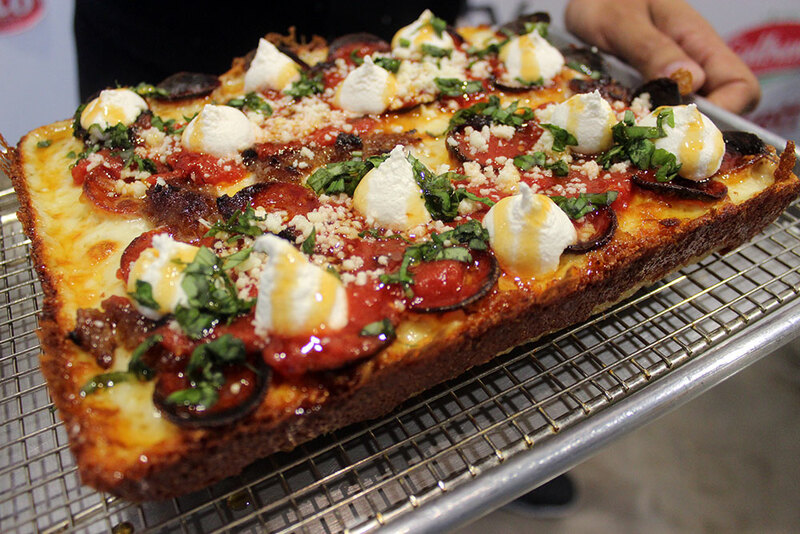 24-hour rise time before par-baking, and then topped with Galbani whole milk low-moisture mozzarella, sharp white cheddar edge, two layers of pepperoni cups (under and over the cheese), house made bacon jam, post oven ricotta, and post oven Mike’s Hot Honey. 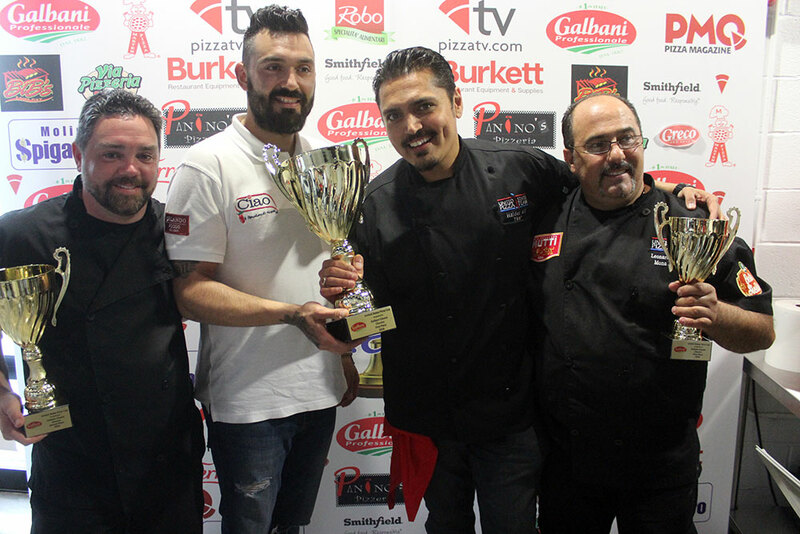 between Classico winners Gianni Gallucci and Leonardo Giordano. 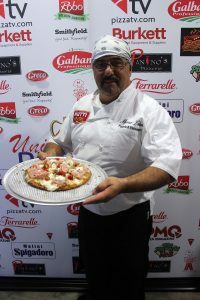 Additional competitors in this year’s U.S. Pizza Cup Classico and Gluten Free events were: Heather Zook, Sinfully Gluten-Free, Dayton, Ohio; Tore Trupiano, Dominic’s Italian Restaurant, Oceanside, Calif.; Anthony Scalia, Little Paisans, Rootstown, Ohio; Giuseppe Badalamenti, Chicago Pizza Boss, Westmont, Ill.; Jason Samosky, Samosky’s Homestyle Pizzeria, Valley City, Ohio; Giovanni Labbate, Brick’s Wood Fired Pizza, West Dundee, Ill.; Rick Wheeler, Mad Mushroom Pizza, Lafayette, Ind. 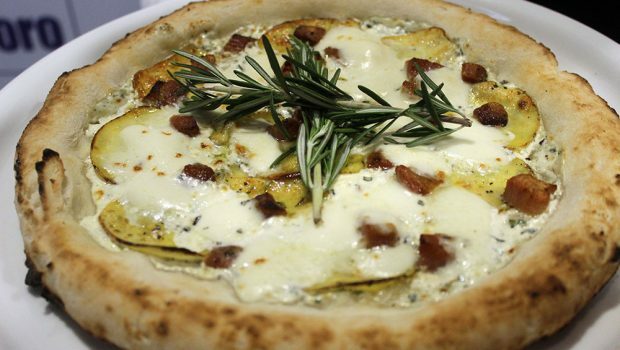 ; Peter Anderson, Gelsosomo’s Pizzeria, Crown Point, Ind. 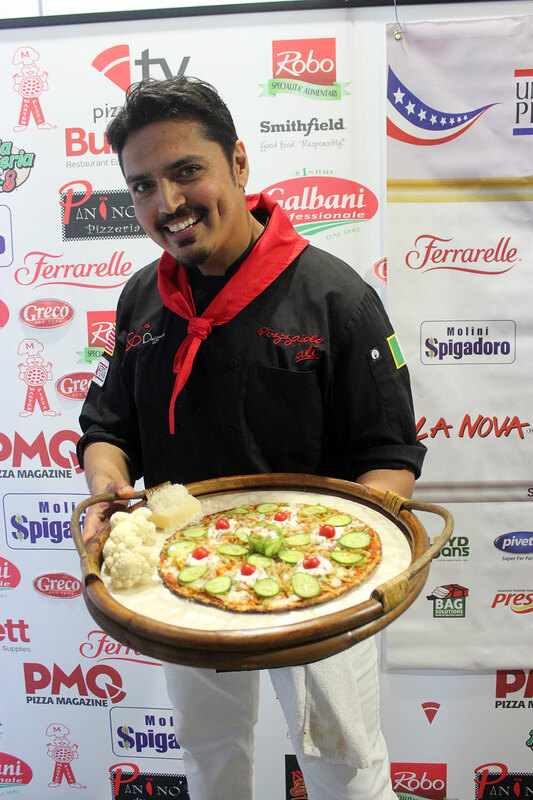 ; Erwin Martinez and Russo Nieves, Little Pop’s NY Pizza Trattoria, Naperville, Ill.; Salvatore Passalacqua and Massimo Mannino, Marabella Pizza, Greenville, N.C.; Jonathon Goldsmith, Spacca Napoli, Chicago, Ill.; Byron Ovalle, Osteria Trulli, Arlington Heights, Ill.; Kevin Knecht, Sloopy’s Sports Café, Port Clinton, Ohio; Corey Spivey, The Order, Springfield, Mo. ; and Ryan Evans, Fired Fly Catering, Michigan City, Ind. Sponsors for the Midwest U.S. Pizza Cup are Galbani Cheese, Panino’s Pizza, Master Pizza, Ferrarelle, Bib’s BBQ Sauce, Via Pizzeria 1-2-3, Molini Spigadoro, Burkett, Greco and Sons, Smithfield, Robo Specialita Alimentari, the U.S. Pizza Team, PMQ Pizza Magazine and Pizza TV. The U.S. Pizza Team competes all year round in various trials across the country in anticipation of the World Pizza Championship. The U.S. Pizza Cup is designed to mimic the Italian event to better prepare the competitors. 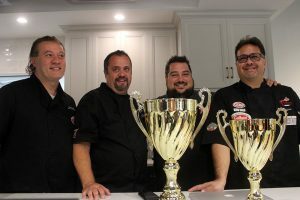 Winners of each trial in the United States win a trip to the World Pizza Championship. 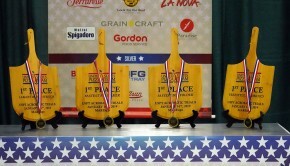 The U.S. Pizza Team is sponsored by Molini Spigadoro, Grain Craft, Ferrarelle, Real California Milk, Gordon Food Service, LaNova, Paradise Tomato Kitchens, MFG Tray, Burkett Restaurant Equipment and Supplies, Bag Solutions, Fontanini Meats, Lillsun, Univex, Presto Foods, Pivetti and Lloyd Pans. For more information about this event or the U.S. Pizza Team, contact Brian Hernandez at 662-234-5481 x 129, brian@pmq.com, or visit http://uspizzateam.com/.